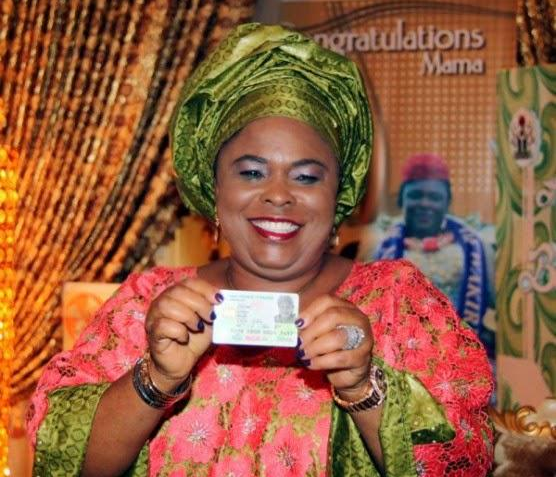 Dele Momodu Blasts Patience Jonathan - Apologize to APC, Buhari and The North! Your Excellency please let me start by emphasising the fact that this is my very first letter to you since destiny elevated you and your husband to the highest positions in Nigeria. It may be the last before your tenure expires on May 29, 2015, and another begins with you or someone else in the saddle. Despite all the controversies engulfing you and your husband, I had resisted the temptation of writing you in the past for several, if not many, reasons. Kindly permit me to expatiate a bit. I’m a great admirer of strong, confident and energetic women who cannot be bullied by the galaxy of male chauvinists that litter the political landscape of Africa. As someone who was brought up by my amazing mum, Omo Arotiwebiojo, an unlettered woman and petty trader, I knew what it took to survive in a particularly difficult terrain. Indeed, whilst some have impugned you for your so-called lack of command of the English language, I have remained partial to you because, like most of us, English is not your first language, and your contributions have enriched our home-grown lexicon! I can therefore imagine what you and our dear beloved President must have gone through together, in thunder, lightning, rain and sunshine. The hurly-burly of life must have thrown you hither and thither when there was no one else around to share in your secret pain and anguish. But it must have pleased God in His infinite mercy to raise you and your husband up, like Jesus did to a dead Lazarus, as original examples of uncommon transformation. I vividly recollect your relationship with the former First Lady, Hajia Turai Yar’Adua. You gave her tremendous respect and your taciturnity was legendary. Not much was heard from you at that time and not many, except probably Bayelsans, ever suspected that you had so much buried inside your heart and that you were only waiting for the opportune time to vomit them. Even in the days of tribulations when the cabal held sway and grabbed our nation by the jugular, you and your husband handled the volatile situation with maturity and remarkable equanimity. Some of us were ready to fight your battle, and risked our lives, because we saw you as the underdogs who must be rescued from the fangs of the political hyenas. We were further emboldened by the facts of your husband’s man-in-the-street story, a fairy-tale of sorts about a man from the Otuoke manger who had no shoes. We were not just titillated but fascinated by such flashes of inspiration. Let me remind you that virtually all Nigerian leaders have been disparaged at one time or the other. It is one of the heavy prices to pay in compensation for the privileges of leadership. Just imagine how much some of us attacked President Ibrahim Babangida, Chief Ernest Shonekan, General Sani Abacha and others over the June 12 crisis. None of their wives ever hit back at the critics no matter the degree of provocation. In fact, they acted perfectly normal and even tried to build bridges of friendship instead of bombing the castle. I remember with fond memories, Dr (Mrs) Maryam Ndidi Babangida, who remained graceful to the very end. Mrs Maryam Abacha endured the most blistering attacks against her husband in life and death. She has since reconciled with many of her husband’s vociferous enemies. Hajia Turai Yar’Adua was subjected to virulent criticism by many, and I confess I was one of her knockers in the dying throes of the cabal, but she wisely kept her own counsel and declined to join issues with anyone. When it dawn on her that the battle was lost and won, she packed her baggage out of Aso Rock without as much as a whimper. I must also mention specifically Mrs Stella Obasanjo, whose husband has always had a running battle with the media and yet she maintained steady media frenzy in her own kingdom. She was everyone’s friend and continues to be fondly remembered even in death. I recollect one occasion when we travelled to Beverley Hills, USA, with her, and her simplicity just wowed everyone. She made sure we jumped in the cars and buses and headed out to a night club owned by Don Cornelius. She was so down to earth. On her last trip to Ghana before her unfortunate death, I had gone to pay her a visit at M-Plaza hotel where she and President Obasanjo stayed. Despite my frosty relationship with her husband, we sat in one corner chatting away as the President attended to his own visitors. She never got involved in our endless battles with Baba. I have cited these examples to show that you and your husband are not alone in the barrage of criticisms and attacks. You must rise up way above such pedestal. But sadly, you have not been able to allow any comment pass you by, no matter how mundane. The last straw for me was when you declared matter-of-factly that your husband’s main challenger, Major General Muhammadu Buhari should not be voted in because he is “brain dead”, according to you. That was extremely malevolent and sinister, to say the least. It is not an elegant language to be used by any lady not to mention the First Lady and certainly not about a former Head of State of the same country that you are governing and from whose citizens you are seeking a second term in office. However, I believe that this may have been an innocent quip. Whilst some may be willing to forgive such naivety, it is essential for you to quickly assure Nigerians that you meant no harm and that despite the ill-feeling and bitterness that politics and electioneering may engender you wish no evil to any man least of all your husband’s leading rival and contender. There is nothing wrong in admitting your mistake of commission or omission. It is actually a sign of strength.